Last month, the Maine Department of Environmental Protection asked Nordic to submit more information showing exactly where the proposed salmon farm’s outfall pipe will be, and demonstrating that the company could prove its right, title and interest to the intertidal zone where the pipes would be placed. A few days after state regulators made that request, Nordic officials made a request of their own: that the Board of Environmental Protection would assume jurisdiction over their wastewater and two other permit applications. “Everything,” in this case, means the applications for the Maine Pollutant Discharge Elimination System, or MEPDES, permit; the Site Location of Development Act, or SLODA, permit; and the Natural Resources Protection Act, or NRPA, permit. Once the applications are complete, they will be sent to the seven-person board, whose members are Maine citizens appointed by the governor and confirmed by the Legislature. Their duties include substantive rulemaking, review of certain license applications and decisions on appeals. The board is part of the Department of Environmental Protection, but it has independent decision-making authority, and members also are tasked with providing for “credible, fair and responsible” public participation in department decisions. While reviewing Nordic’s permit applications, board members will be assisted by an assistant attorney general, a dedicated analyst and staff at the Maine Department of Environmental Protection, Madore said. The switch in jurisdiction will also mean a change for the appeals process. Marianne Naess, Nordic Aquafarms’ director of operations, said her company is expecting to submit the three permit applications soon. She said that Nordic asked to work directly with the Board of Environmental Protection because that will simplify matters for the permitting process. “We think it’s better to work directly with the board because that takes away all the arguments,” she said. “Everyone gets the chance to have public input in this process. We’re just committed to going through and being put under the same scrutiny as everyone else. Generally, the board only assumes jurisdiction over projects that are of statewide significance and that meet three of four criteria: that it will have an environmental or economic impact in more than one municipality, territory or county; that it involves an activity not previously permitted or licensed in the state; that it is likely to come under significant public scrutiny; and that it is located in more than one municipality, territory or county. 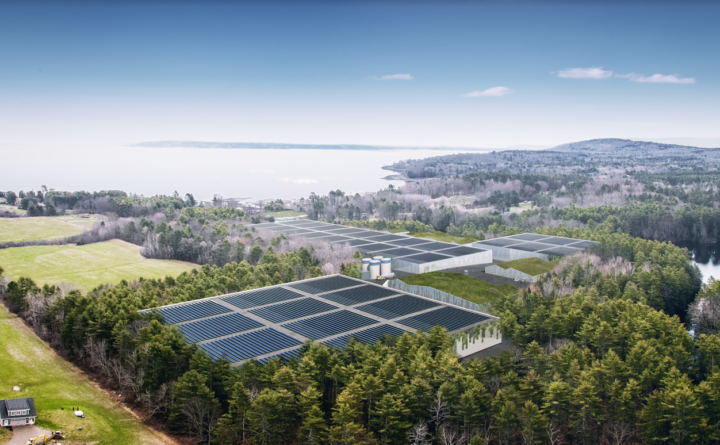 Initially, the Maine Department of Environmental Protection had found that the salmon farm project was located solely in Belfast, but opponents disagreed, saying that the proposed outfall pipe would also be in Northport. Attorney Kim Ervin Tucker, who represents Upstream Watch and the Maine Lobstering Union, asked last year that the board have oversight over the wastewater discharge permit and was denied. She said she was not surprised that the Maine Department of Environmental Protection had asked for more information about the location of the project or that Nordic ultimately asked the board to assume jurisdiction. But that’s not true, Naess countered.